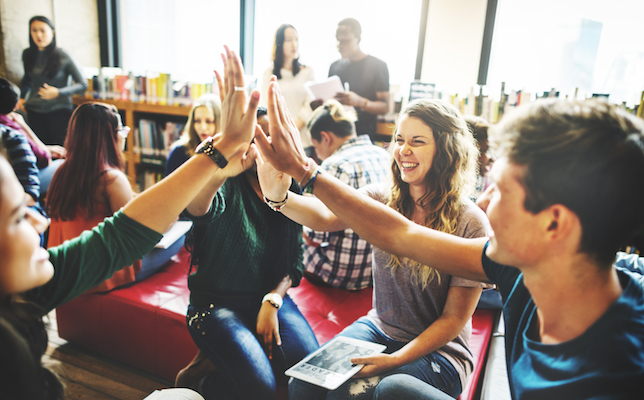 CASEL (the Collaborative for Academic, Social and Emotional Learning) has revealed the winners of its inaugural Social-Emotional Assessment Design Challenge and introduced a new website dedicated to measuring social-emotional learning (SEL). Research has linked SEL to higher academic achievement, lower anxiety and pressure, and responsible decision-making for students. At least 11 states have set forth free-standing learning goals that articulate what students should know and be able to do socially and emotionally, with developmental benchmarks. Since 1994, CASEL has worked “to help make evidence-based social and emotional learning an integral part of education from preschool through high school,” according to the national organization’s official website. Long-term, to stimulate the creation and adoption of social-emotional assessments that support effective instruction and positive student development. Submissions were allowed to be in the early phases of development, or already tested and used in schools. Out of 20 submissions, seven proposals were selected based on the following criteria: innovation, clarity, usefulness, scalability, data reporting, developmental and cultural appropriateness, engagingness and technical merit. The panel of judges included representatives from school districts, education nonprofits and research institutions. First place: “Student Assessment Engagement,” submitted by research scientists at K–12 assessment company NWEA and researchers at Santa Ana Unified School District. Based on research that shows students who respond quickly on tests likely are disengaged with the test, the frontrunning assessment quantifies how often students respond quickly over the course of a test, and correlates that answer to SEL constructs like self-regulation and self-management. Second place: “Social Detective,” submitted by Panorama Education. The performance task asks student to be a detective who is responsible for figuring out people’s interests, perspectives and values. With the help of videos and interviews, students are assessed on how well they can understand others. Third place: “PERC,” submitted by Mindset Works and a professor at UC Davis. The computer-based PERC assessment hones in on students’ persistence, effort, resilience and challenge-seeking behaviors. Fourth place: “The Calendar Task,” submitted by researchers at ETS (Educational Testing Services). The platform, still in development, might be able to assess “student self-management skills with the potential for multiple use cases, both summative and formative in nature,” the proposal description explains. Fifth place: “PLUS Executive Functioning Assessment,” submitted by an assistant professor at the Developmental and Psychological Sciences program at Stanford University’s School of Education. The Stanford team developed a group-based assessment procedure that enables minimal disruption in the classroom, while assessing “executive function skills at scale,”the project description reads. Sixth place: “An Incentivized Method for Measuring Gifts,” submitted by economics professors at the University of Essex and Koc University. The assessment focuses on measuring grit and uses incentives to reward successful outcomes. The winning proposals will receive a cash prize of up to $5,000 each. In august, CASEL plans to publish a brief of the lessons learned from the design challenge on its new website called Measuring SEL. CASEL, the Harvard Graduate School of Education, the nonprofit research institution RAND Corporation and other collaborators worked on Measuring SEL. The online resource aims to help advance effective and practical assessment of social and emotional competencies for preschool through high school students. CASEL has brought together “researchers, educators and policymakers from universities, school districts and national organizations,” for the Assessment Work Group, for example, which will address “critical areas” including enhancing collational, clairging frameworks, advancing practical assessment and designing direct assessments. More information about the new website, Measuring SEL, is available here.